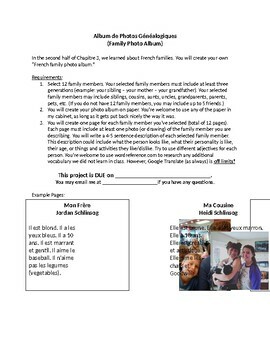 Students create a family photo album (I make mine do it on paper, but you can also do it digitally on PowerPoint) with 12 family members. They must identify their relation to each person, then write a 4-5 sentence description of each person. I also have students present their projects to the class. 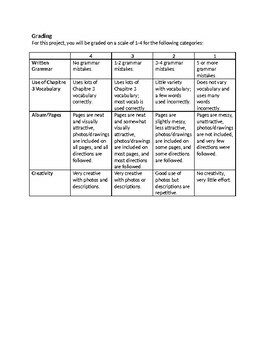 File includes instructions, sample pages, and a rubric. File is completely editable to make it fit for your classroom.